On the beautiful German North Sea Coast, in the municipality of Stadland, sits Maltbarn. If you’re curious about the landscape, then check out the labels on the bottles (all available on the website, here). Sheep in the snow? Check. Waves crashing, autumn leaves and field under a night sky? Check, check and check. Squirrel foraging for nuts? You better believe it. Remote, unspoiled, idyllic—the perfect place to rebel (so to speak) against traditional independent bottlings. Maltbarn is a family-run business that started with a move onto a farm with a “very big barn attached to it” (hence the name – the simplicity belies the marketing machine that churns perfect brands, catchphrases and other propaganda for other distilleries and bottlers). The family went hunting for casks and soon after, a dream was realised. If only it was that easy, right? It’s been said that “man serves the interest of no creature except himself”. With Maltbarn, this appears not to be the case, as the bottles produced are the product of the purest passion for that liquid gold that we call whisky, which is to be commended. These smaller independent bottlers must have that drive to source casks since they lack the reach and buying power of the bigger, more recognised enterprises. Some see the rise of these upstarts as an indication of the demand for change, and a challenge to the established whisky world order. I just think people really want to bottle some great whisky and are ready to wade through the muck to get there. That also means that my quick summary will likely not do justice to the effort that the Maltbarn team put into searching out the casks they use for their bottlings. All of this should only emphasise to you the dedication involved in putting out bottlings on a consistent basis. It’s no easy task, especially while simultaneously running a farm. Keeping everything running smoothly is a massive effort, and don’t get me started on the other threats… What if the pigs revolt? They could start planting barley and go into the whisky business for themselves. You laugh, but it’s been discussed. True to the cause, Maltbarn bottlings are produced in very small quantities and you would be hard-pressed to find these readily available, unless you know where to look (and the WhiskyBase online shop is a good start – see below). The 2006 12-year-old Aberlour and 2004 14-year-old Caol Ila, both ex-sherry casks, had an outturn of 155 and 149 bottles, respectively, so I was pretty lucky to be able to try some. Drams were purchased by yours truly in the comfort of a bar in London while plotting my next move—likely, what to have for dinner. On the nose: Very light and sweet. Soft caramel and demerara sugar. A touch of smoke and cooked apple. However, the pervading element is the spirit, which overpowers the nose and detracts from the balance. In the mouth: The spirit and light smoke first attract my attention. Some pears over a wood fire. Very dry and quite bitter. The texture and flavour are lacking, which leaves a lot to be desired—it is all rather empty. 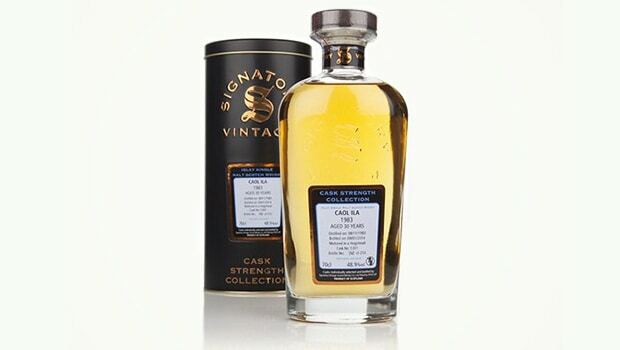 The finish is very short, but the lack of a cask influence might be a very real contributing factor. On the nose: This has much more presence – the tobacco smoke is very clear. Musty leather furniture. Light seaweed and the smell of the harbour. There are also medicinal aromas as it breathes. This is like walking through an antique shop off the boardwalk with a grandparent. In the mouth: Gentler in the mouth than expected. A nice texture with some more brine, but the seaweed is the forward note rather than the saltwater. A hint of sherry with some dry fruit. A medium and oaky finish. The medicinal aromas follow through as well, with a flavour of plasters or closing up an envelope. Given the multitude of opinions we deal with on a daily basis, it is clear that, for most us, all whiskies are equal, but some whiskies are more equal than others. How we got to this place and whether you agree with the mantra is fodder for a whole other article, but it should provide enough motivation for you to go out and try some of these (and more) for yourself. There is a lot to love about Maltbarn and you could get behind what they’re doing. 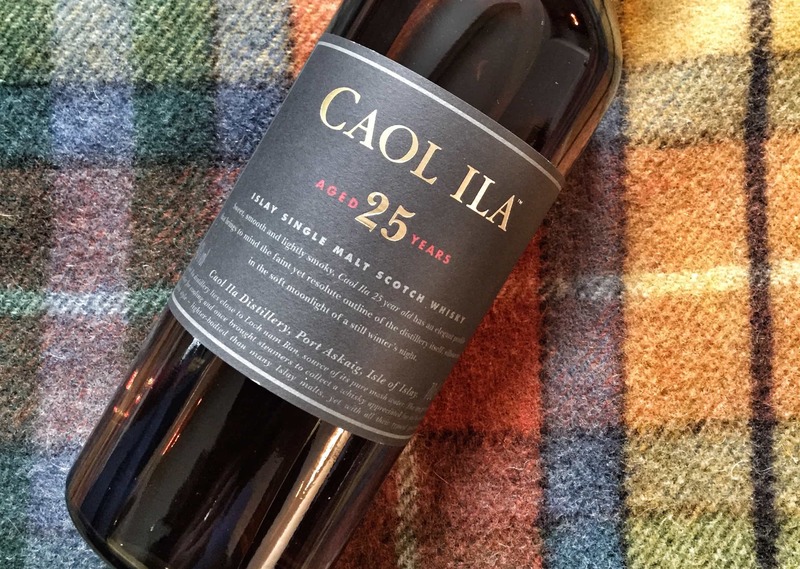 For me, these were some ways off what I expected of a typical Aberlour and Caol Ila; a great thing, in that I saw another side of the character of each distillery. Unfortunately, what the other side yielded was not particularly exciting. I could not get over that empty feeling throughout tasting the Aberlour. Not to say I was expecting heaven and earth to move when I drank this, but I needed something more at every level. The lingering disappointment that followed the briefest moment of pleasure puts this in the very middle of the field. 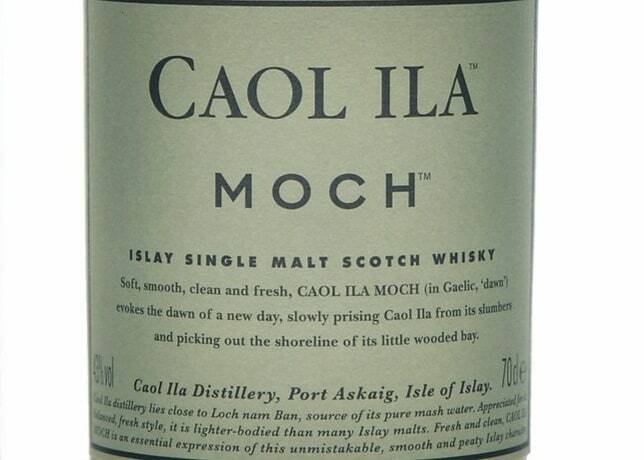 The Caol Ila had a bit more to it, some classic notes that hit me right away. There was of course a nice smoky element in the nose and taste. But it was the unexpected bit of extra complexity in the fruitiness and softness that meant this stuck with me a bit more. So, the most breath-taking whiskies I have ever consumed? These were not. They are just another experience I have the pleasure of sharing with you, the readers of Malt. Yes, I would be disappointed, had I bought a bottle. Yet I will keep exploring until they tell me, “no animal shall drink alcohol”. Or was that just “no animal shall drink alcohol to excess”, Muriel? Lead image can only be the work of Noortje. Second image kindly provided by WhiskyBase where you can purchase the Aberlour or the Caol Ila currently – note these are not commission links.